Katy Vermeer is a Senior Integrated Wealth Advisor at Carlson Capital Management. 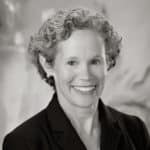 As a Senior Advisor, Katy partners with clients and their families providing the firm's fully integrated wealth management experience including investment management, retirement modeling, estate, philanthropic and educational planning and all other aspects of general financial planning and client care. In this role, Katy also connects clients with the firm's specialists for overall portfolio management as well as direct access to expertise in areas such as tax planning and insurance analysis. Katy joined CCM with more than thirty years of experience in financial services, including nearly a decade of serving clients by advising on all aspects of wealth management. Prior professional roles include leading business development initiatives, portfolio management, product management, and marketing. Katy worked most recently as Director of the Wealth Strategies Group with a firm in the Twin Cities. In addition to serving as a wealth advisor for clients and their families, Katy was instrumental in implementing a wealth planning platform, deepening the discovery process for firm clients, leading wealth planning workshops and contributing to the firm’s client education communications. Katy holds a Bachelor of Arts degree in Psychology and Business from DePauw University. Katy has also attained the Certified Financial Planner™ designation granted through the Certified Financial Planner Board of Standards. When not at work, Katy enjoys being active outdoors. She loves using the lakes and parks of Minneapolis any time of the year. She and her husband, Kerry, live in Southwest Minneapolis. They have three grown children. Doing well and doing good are both really important to me. This message related to excellence and responsibility is one that has always resonated with me and I work to incorporate it into my daily living, both at work and at home. At CCM when I am doing well for our clients I know that I am positively affecting their lives. By encouraging them to be purposeful about their wealth, I am hopeful that good happens, whether that is with the resources they use for themselves, their families or for the community. Katy and other members of the CCM Advisory Team regularly post articles of interest on financial planning which you can find here.